Prince Rogers Nelson, the late singer-songwriter better known as "Prince," once said, "There is joy in repetition." I was brought to mind of Prince’s words in July when, while visiting my dad in New York state, I watched a hummingbird out his window. The tiny bird returned again and again to my dad’s feeder, wings abuzz, feathers glinting in the sun, its long beak taking quick sips as it bobbed and weaved around those plastic flowers at the base of the feeder. Mostly quick sips – playful and teasing, as though flirting. But then, every so often, it hovered for what seemed like a hummingbird eternity and thrust its beak in deep, taking a long quaff, before flitting off to a nearby branch. Where it recovered for a few panting seconds… and then returned to the feeder to do it all again! And then again! I may be imagining it, but I dare say there was an exuberance – a joy – as he perched there on the branch, chest thrust out, proud in his plumage, darting to the feeder again and again. "There is joy in repetition." 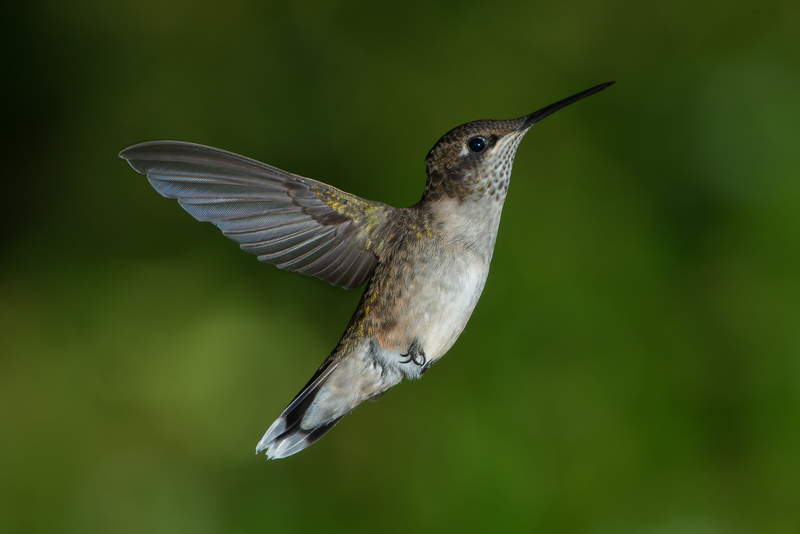 Our lectionary this summer is kind of like that hummingbird, returning again and again to John6. We’ve heard from John6 for the last four weeks; and we will hear from John6 yet again next week. This summer, we will have heard from John chapter 6 five weeks in a row! (To no other text does the lectionary return so frequently.) In returning again and again to John6, the Spirit must be trying to show us something. And I can’t help but wonder if, given this repetition and the imagery Jesus uses in John6 – "I am the living bread that came down from heaven" – [I can’t help but wonder if] the Spirit is trying to show us not merely where we can find the sustenance our souls need, but also the joy. "The bread that I will give for the life of the world is my flesh." "Unless you eat the flesh of the Son of Man… you have no life in you." "Those who eat my flesh and drink my blood abide in me, and I in them." Keith and Jen. The finch and the sunflower. Jesus and us. Each “feeds” on the other, in the flesh. This feeding is something we do every Sunday, again and again, in the Eucharist, and I can’t help but wonder if, as Prince suggests, “There is joy in [this] repetition.” For Jesus, surely, there is joy. Like the sunflower, he "almost indiscernibly lifts the food of his body" toward us. Perhaps as we stretch out our hands to receive him, he admires the wind nudging our “plumage.” He is delighted we are here. But do we find joy in this repetition? As for me, sometimes I do, sometimes I don’t; sometimes the Eucharist is quite rote for me, and at other times I find it profoundly moving. I pray that we may find joy in what we do here “again and again.” I pray that we may find joy and that on account of what we do here our lives might be lived with a “fervor” that might be heard from "oh 20 or 30 feet away." I pray that others out there might see crumbs sailing from our “good racket” in here. I pray that this good racket might make us blush, as it were, and rock up on our tippy-toes and maybe even purse our lips with what I hope we may come to realize is being, simply, glad, which Jesus’ love, shown us in this sacrament, if we let it, makes make us feel.